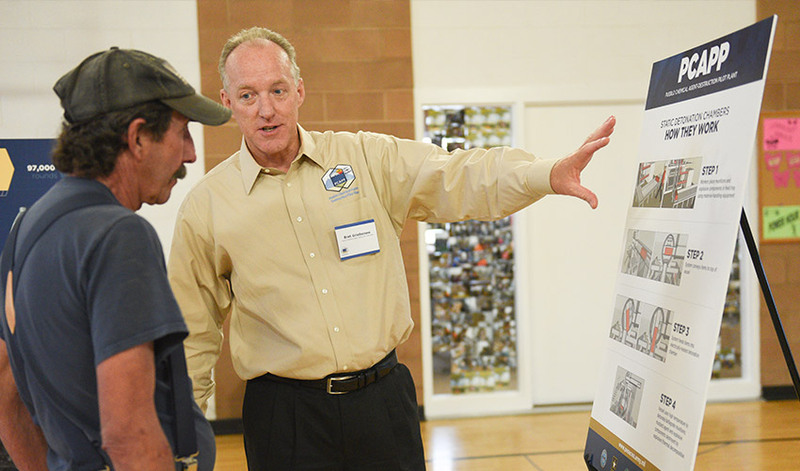 Bechtel Pueblo Team project manager Bret Griebenow explains how the proposed Static Detonation Chamber would process 4.2-inch mortar rounds. 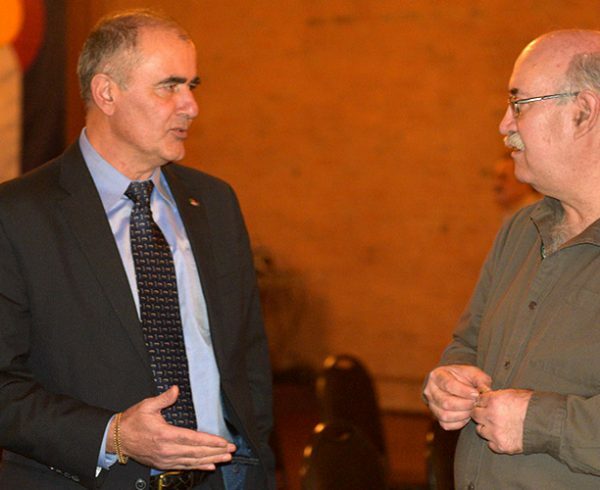 Griebenow spoke to a local resident during one of three Static Detonation Chamber Environmental Assessment meetings held in September 2018. 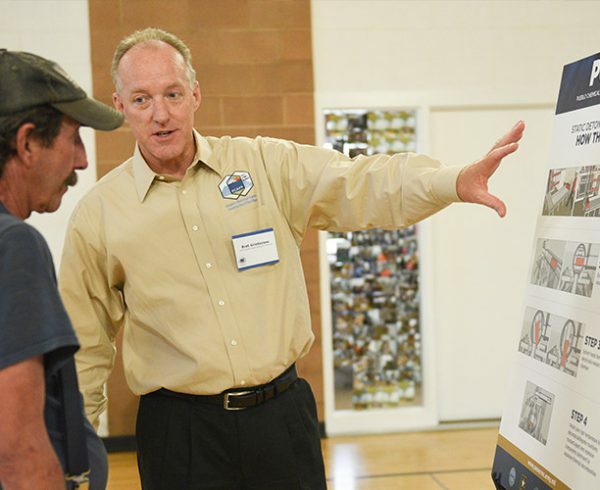 Meetings to discuss the pre-application for the proposed installation and operation of Static Detonation Chambers at the U.S. Army Pueblo Chemical Depot are scheduled for February in Avondale, Boone and Pueblo, Colorado. 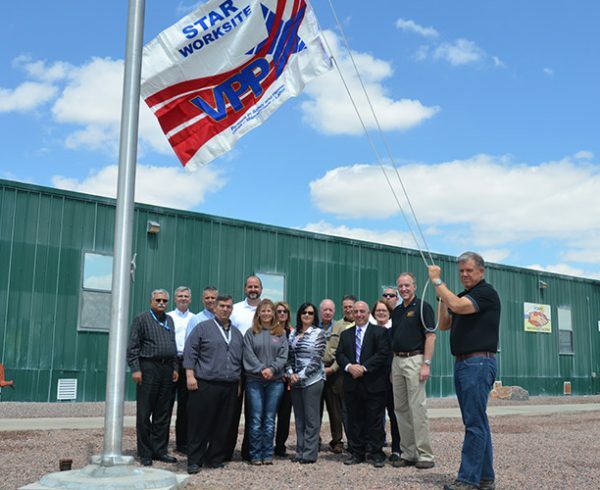 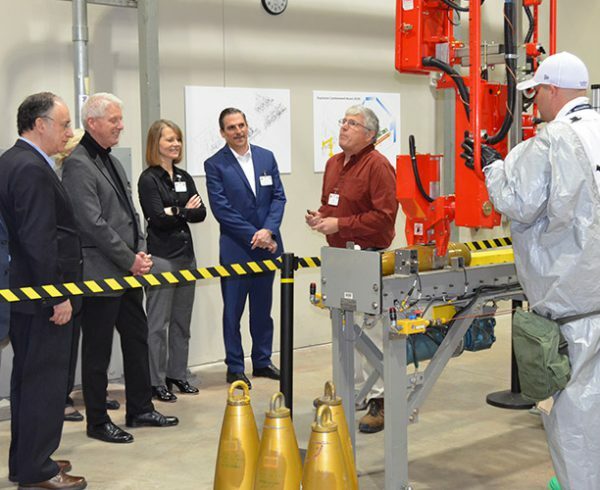 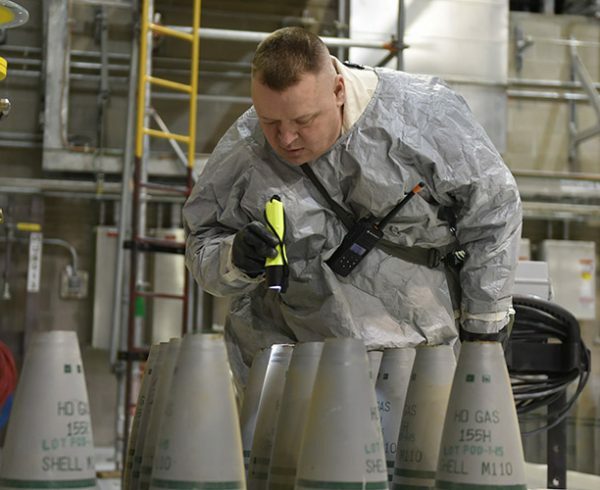 While the Pueblo plant is safely and efficiently eliminating the chemical weapons stockpile, a limited number of munitions cannot be processed through the plant, including 4.2-inch mortar rounds, overpacked leakers and plant rejects. 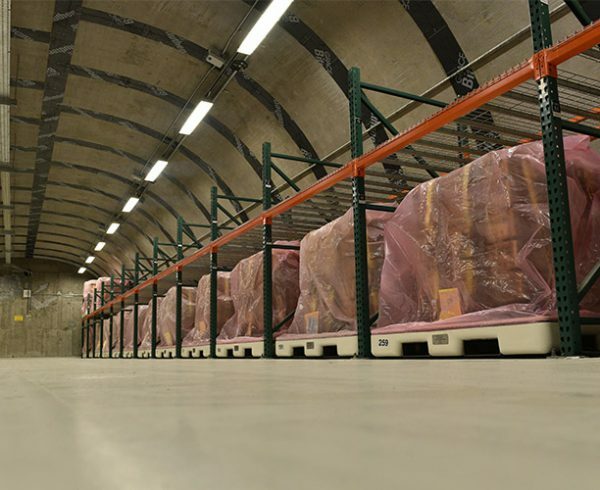 The chambers safely treat and destroy chemical munitions, energetics, and associated waste items using indirect heat.